Click Here for New Our Online Detailing Store! SMART repairs are all about repairing light damage to paint, alloy wheels, vinyl, leather, velour and glass that would otherwise spoil the look of your vehicle and reduce its value. 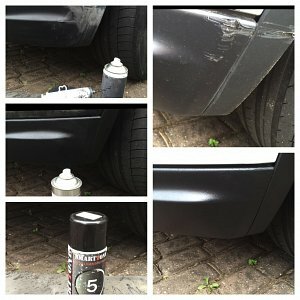 We supply the products for everyday scrapes and scratches, burns, tears and small knocks that would otherwise mean a costly trip to the body shop or an insurance claim. We are about quality and service. We are proud of our products. We want our customers to be proud that they chose us. And to recommend us. Perfect Detail Ltd supports and encourages the highest quality repairs throughout the automotive industry by selling the very best kits and consumables and by providing training for other SMART repairers and bodyshops all over the UK and beyond. Call us or email for our new, handy pocket-sized catalogue. Contact us for any of your consumable requirements – new products are being introduced regularly. We are only a phone-call or email away. We accept Visa and Mastercard. Professional training courses available now: Just call us and talk. Perfect Detail are proud to act act as agents for a number of high quality specialist equipment suppliers. air conditioning odour removal products from Perfect Detail Ltd.
*Are you thrilled when your customers are thrilled? Want to sack the boss? Those 10 million car owners with scuffed paint are just one sector of the SMART repair market. There is real opportunity out there. Come with us and take it. Here’s a truly impressive piece of work. Have you any idea how much a new bumper would cost? Gary used Perfect Detail pit fill resin, activator, texture and paint to provide an excellent finish. Perfect Detail Ltd. is a family owned and run Company working primarily within the Smart & Express Repair sectors of the Automotive Industry. We are about quality and service. We are proud of our work. We want our customers to be proud that they chose us.